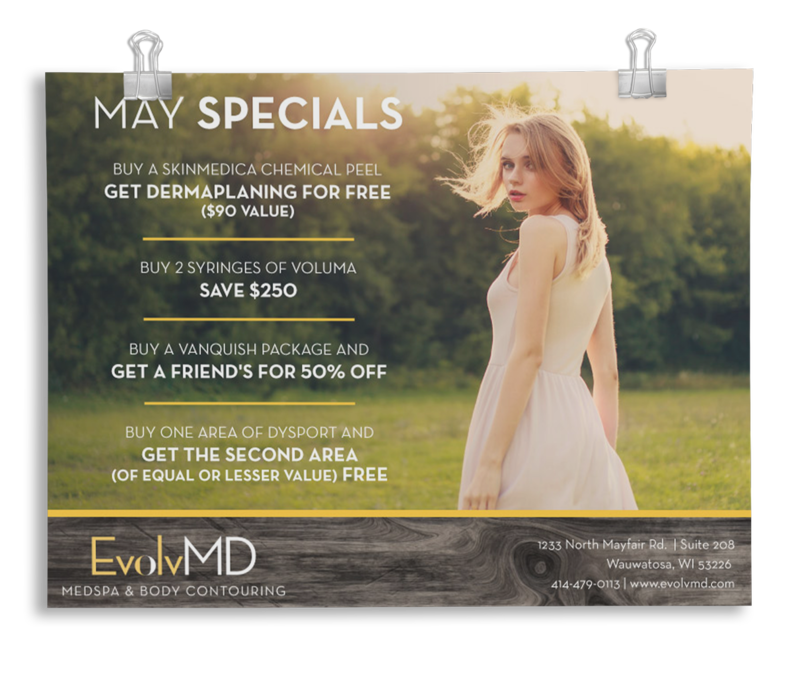 When we met EvolvMD Medspa, it couldn’t have been at a more perfect time and better fit. 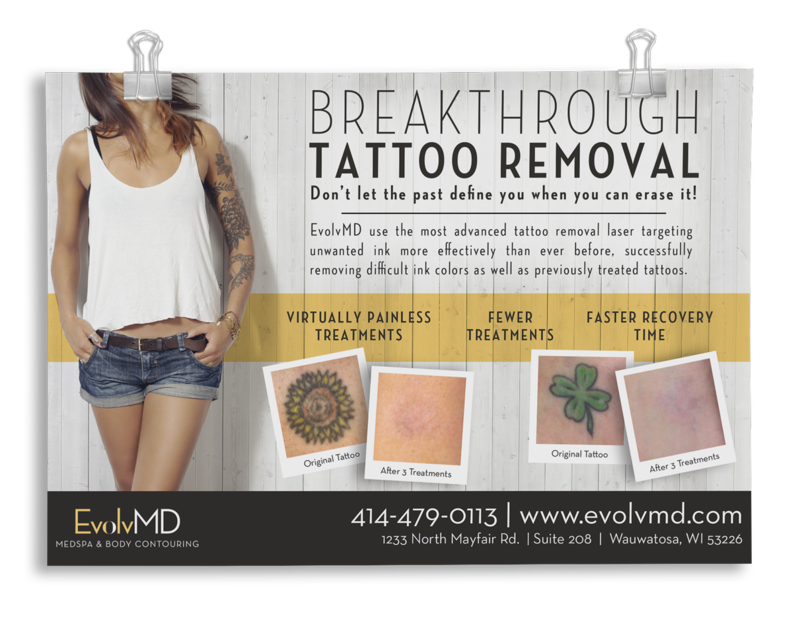 EvolvMD was looking for a creative team to take their marketing visions to the next level, and we, well we are always up for a challenge. 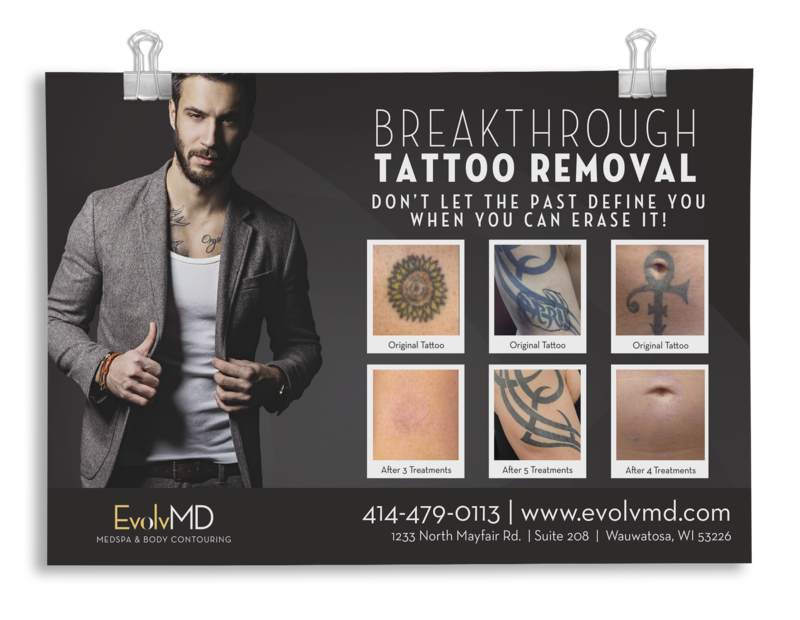 EvolvMD quickly became one of those clients who placed creative freedom and trust in us as the experts, giving us a playground of artistic and strategic opportunity to continue pushing their brand and messaging in new ways. 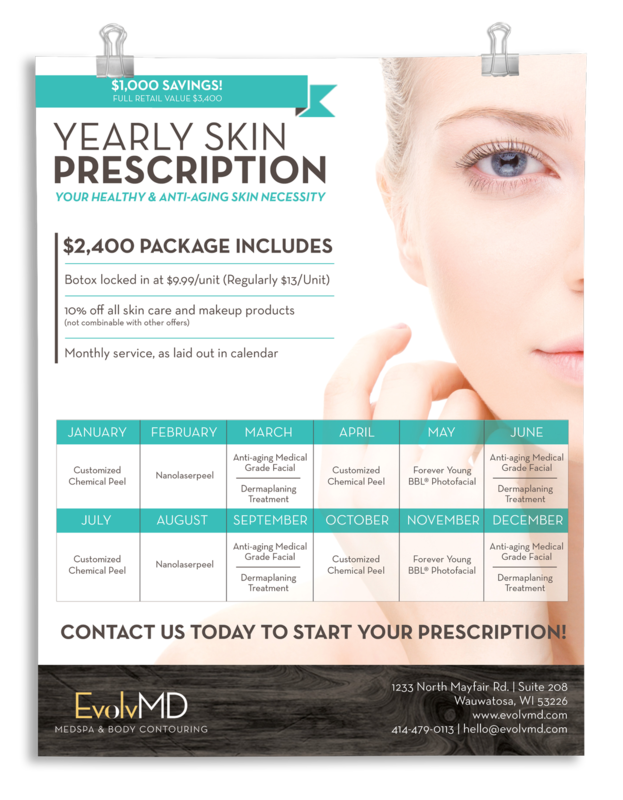 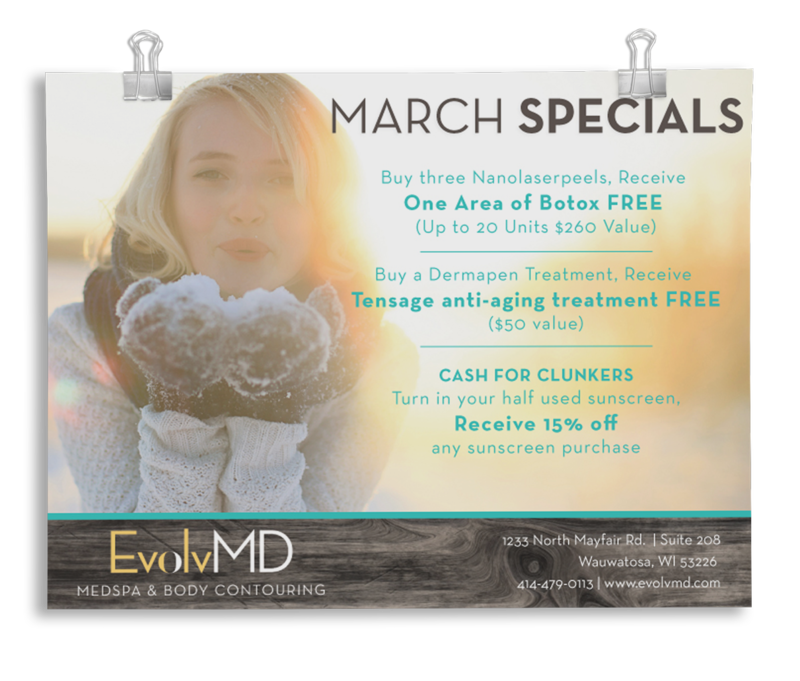 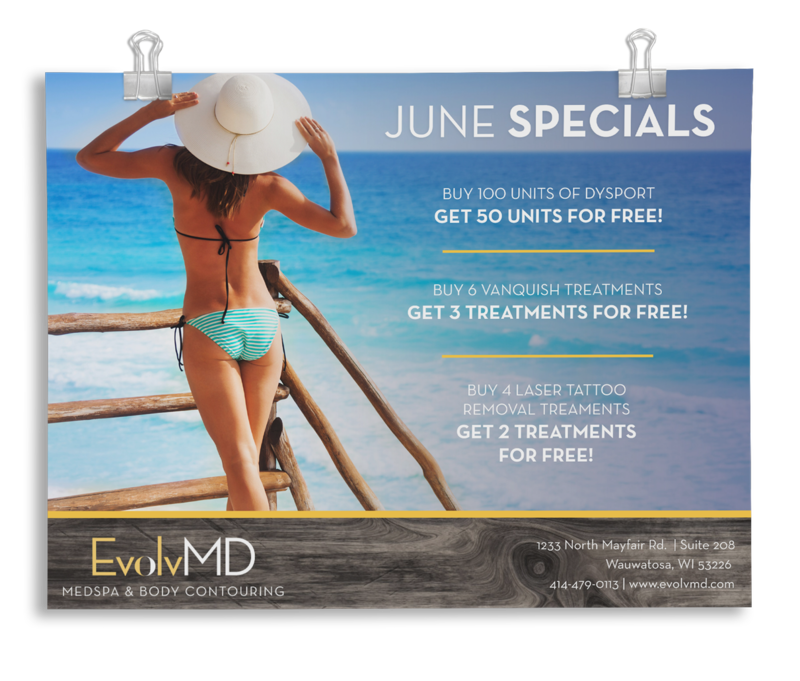 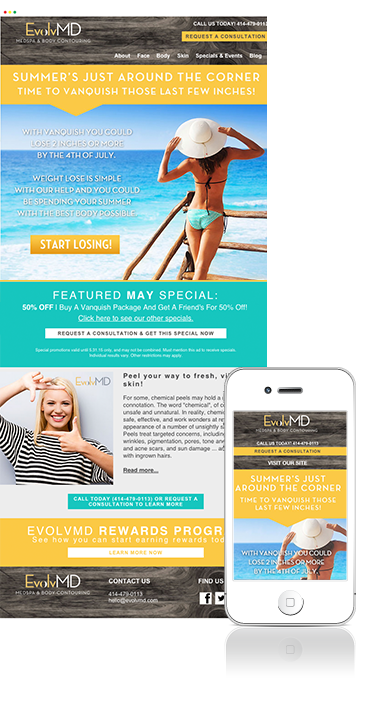 We work monthly with the EvolvMD team, concocting up their email campaigns, all sorts of print collateral, and even work on their blog imagery and content. 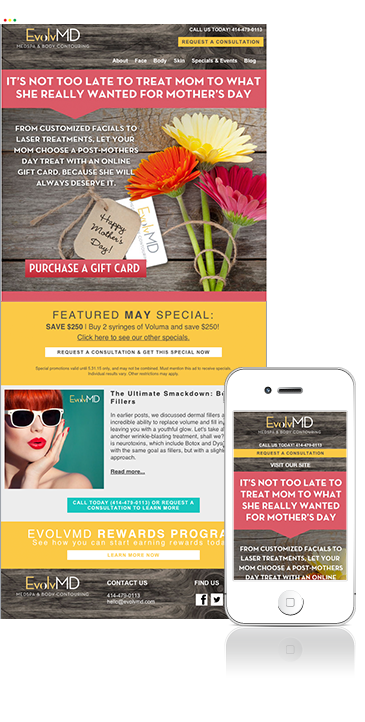 Our relationship with EvolvMD is really all about being a apart of the company’s mindset and ever evolving strategies, which we make a point to always follow up and pay off with a kickass design concept. 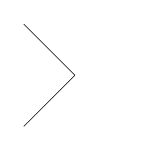 The Jacks are the most phenomenal trio since Charlies Angels! 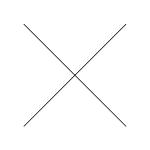 Any project I ask them for is done with speed and finesse. 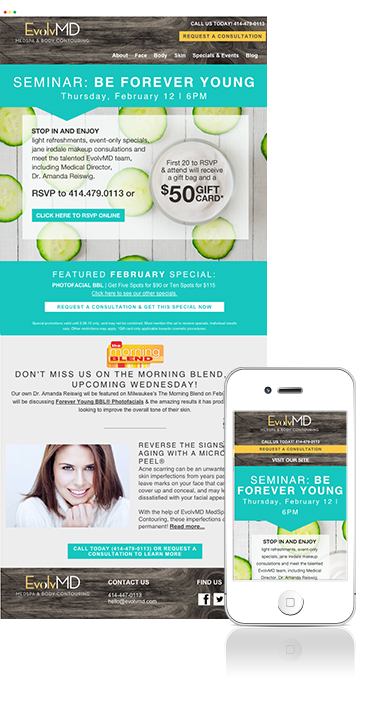 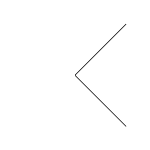 Our email click rates have improved thanks to the Jacks design and content.